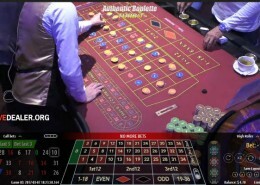 Authentic Gaming are recent entrants to the live gaming scene. 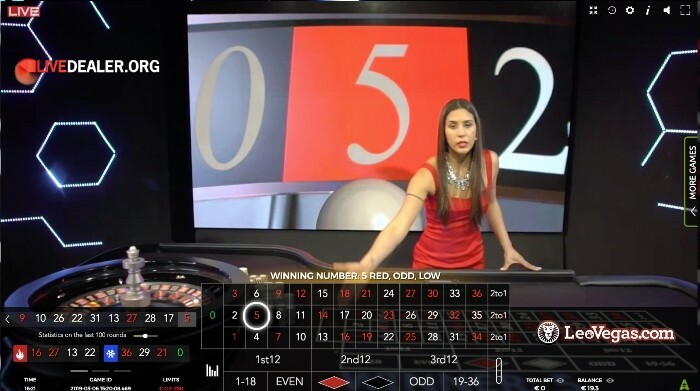 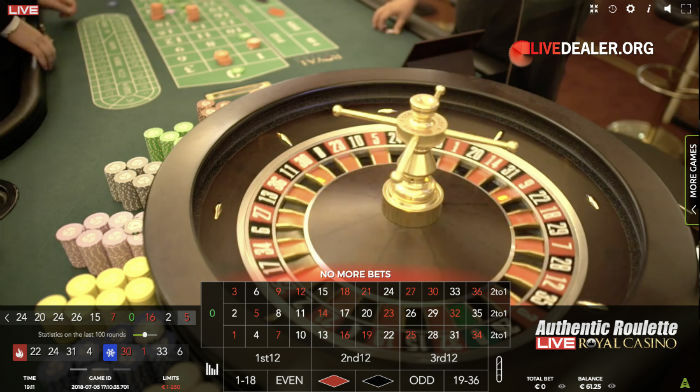 In 2016 they launched their first product – roulette tables live streamed from within the Saint Vincent Resort & Casino (Italy). 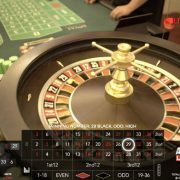 Shortly afterward they added roulette tables live steamed from inside the Hilton International Casino in Batumi (on the shores of the Black Sea in Georgia). 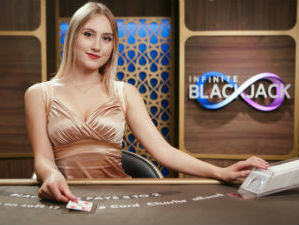 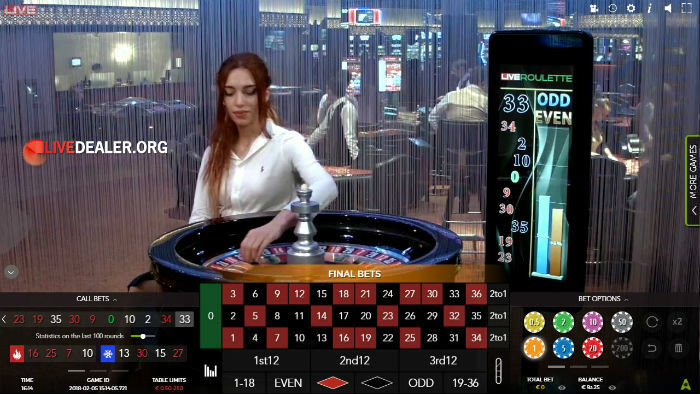 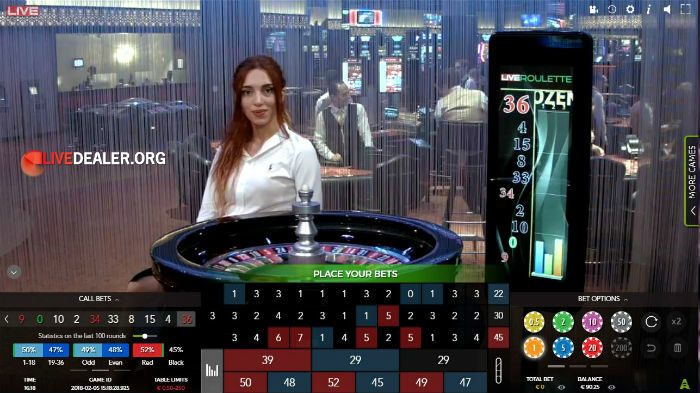 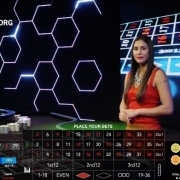 In May 2017 they launched streams of tables within casinos in Bucharest, Romania. 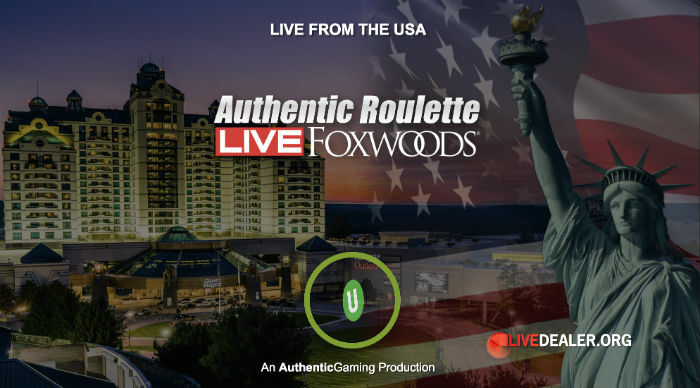 In June 2018, they launched their landmark Foxwoods Roulette table, live streamed from within Foxwoods Casino in the United States – the first live dealer table on US soil and available for play by players outside the US. 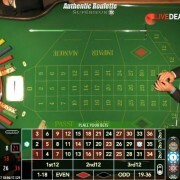 Until recently they did not offer any studio games. 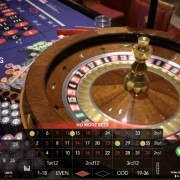 That changed with the release for their Casino Floor Roulette table which is studio hosted and playable by online players only, but still contained within a real casino (Hilton Batumi) and indeed separated from the casino floor by a curtain only so you still get a view of whats happening inside the casino. 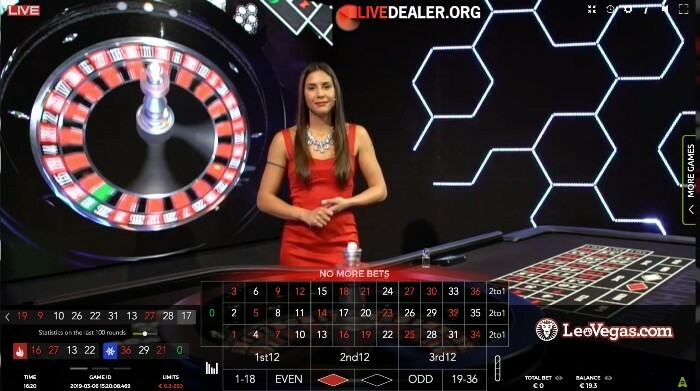 Needless to say, they are positioning themselves as specialist providers of live casino games streamed from inside bricks and mortar casinos and seem to be applying themselves enthusiastically to the real challenge with these type of live games. 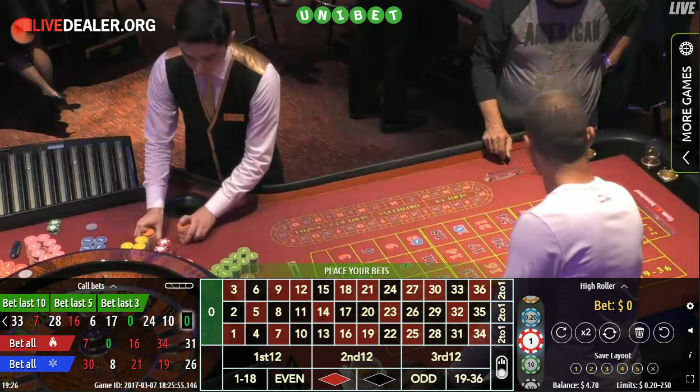 That is, suitably capturing an environment created for patrons inside the casino (not for online players) and delivering the action to remote players in an entertaining way. 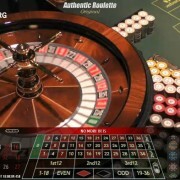 Authentic Gaming are based and licensed in Malta. 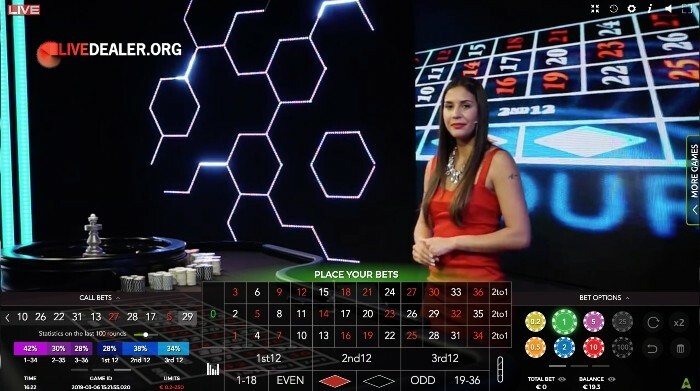 Studio: Bricks and mortar casinos in the United States of America (Foxwoods), London UK (Aspers Casino), Denmark (Royal Casino), Italy (St Vincents), Romania (Platinum Casino & Casino Bucharest) and Georgia (Casino International, Hilton Batumi). 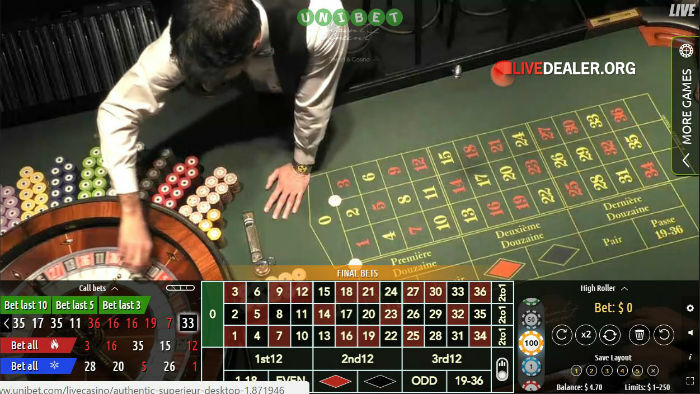 These are in-casino tables and croupiers are busy with patrons in the casino. 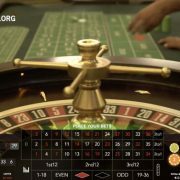 No interaction with remote players. 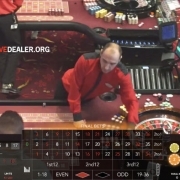 As far as in-casino tables go, pretty good. 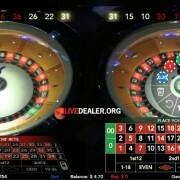 Up to 5 cameras per table capture up close game action, and zoomed out casino floor pretty well. 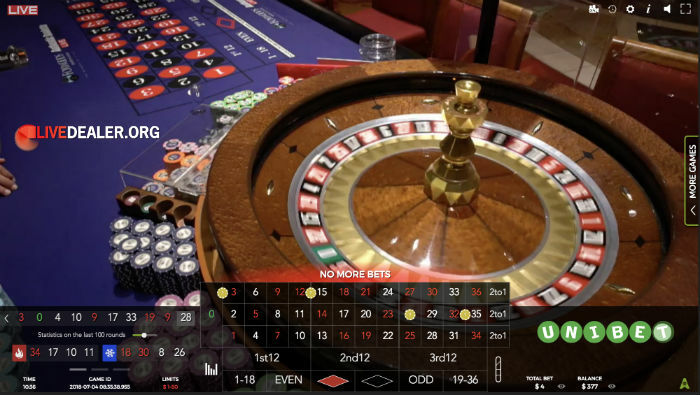 You’ll find everything you need pretty quickly, playing PC or mobile. 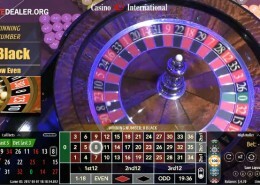 One failing is the chip selector wheel that places the €100 chip next to €1/€0.10 chips, making expensive bet mistakes a real possibility. 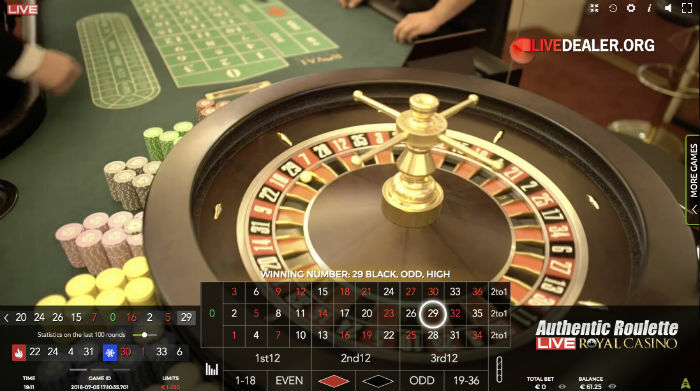 Fast loading, and multiple cameras all stream well for an in-casino feed. 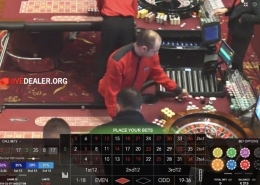 If you have any desire to hear the casino floor action, you can…quite clearly. 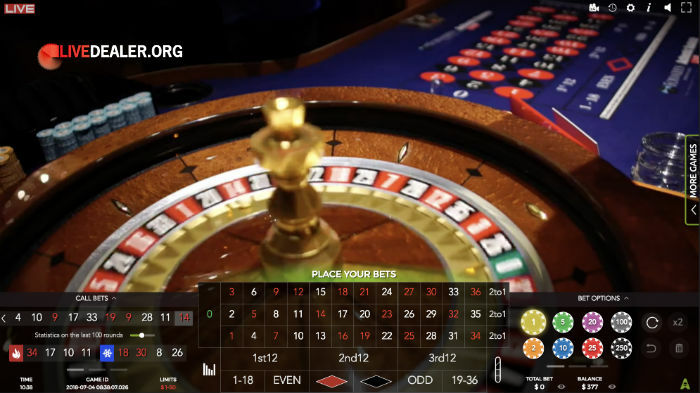 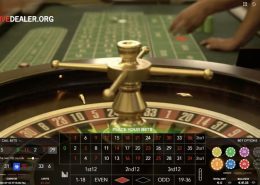 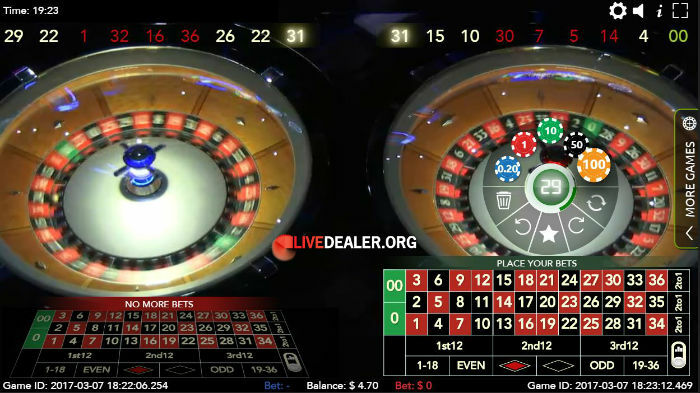 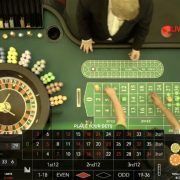 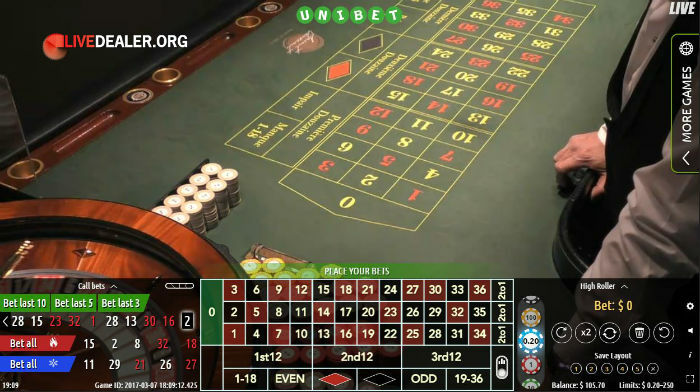 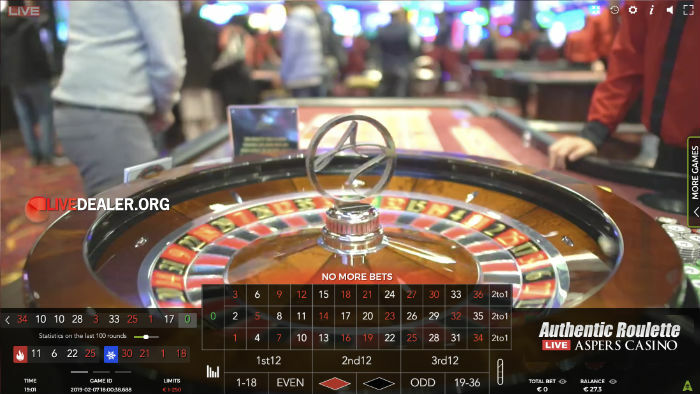 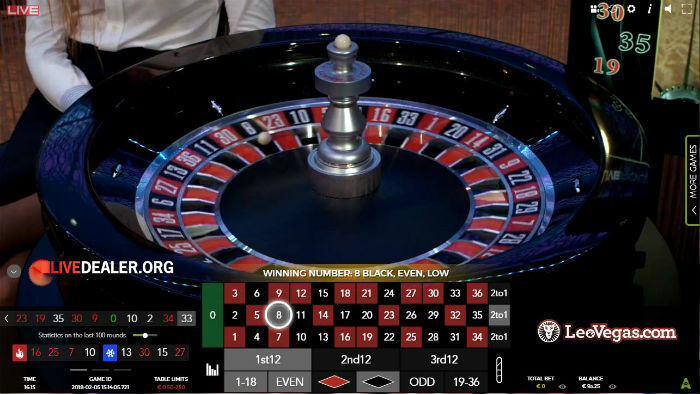 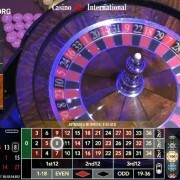 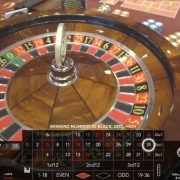 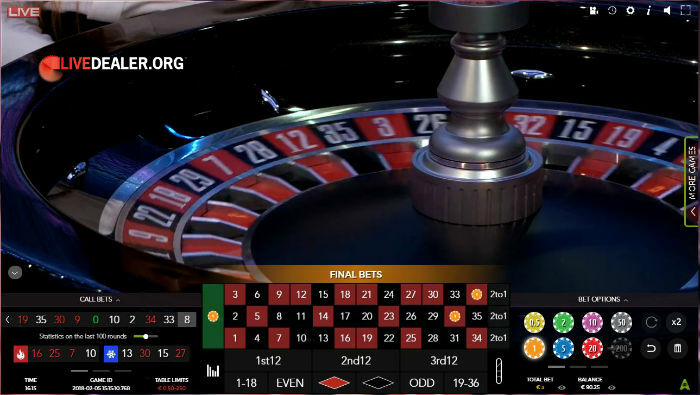 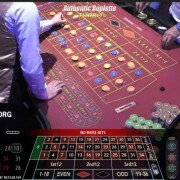 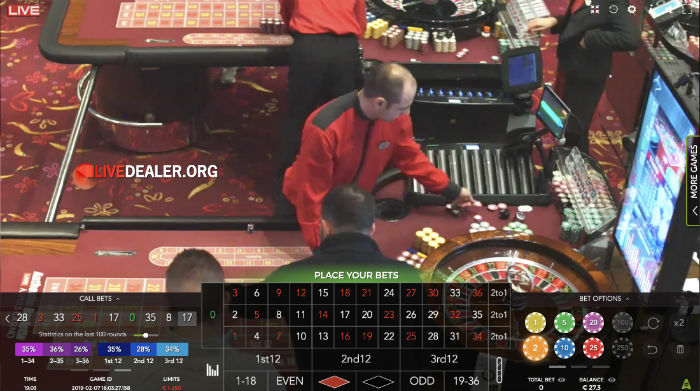 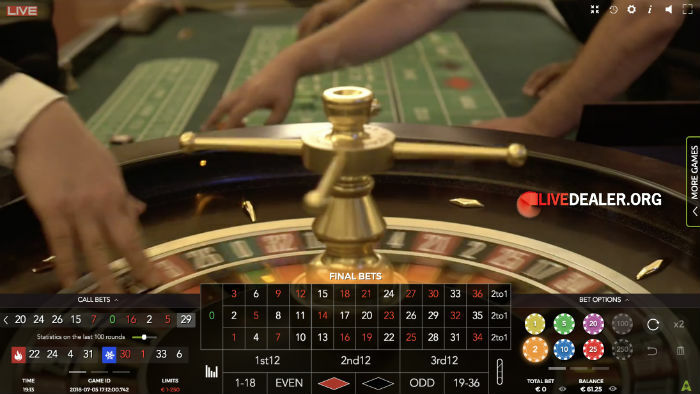 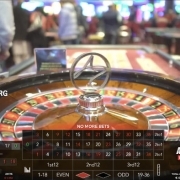 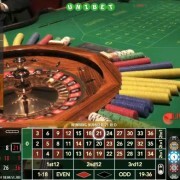 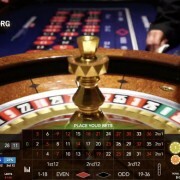 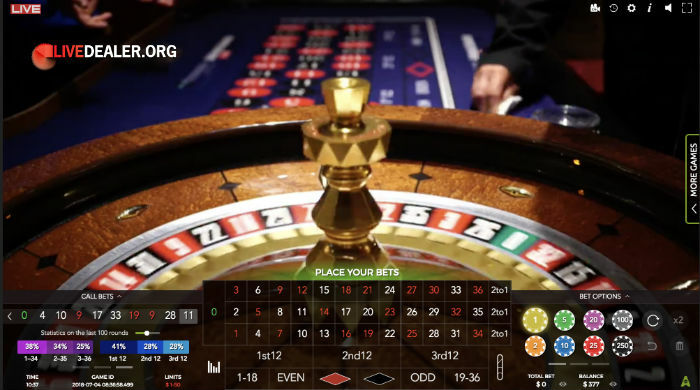 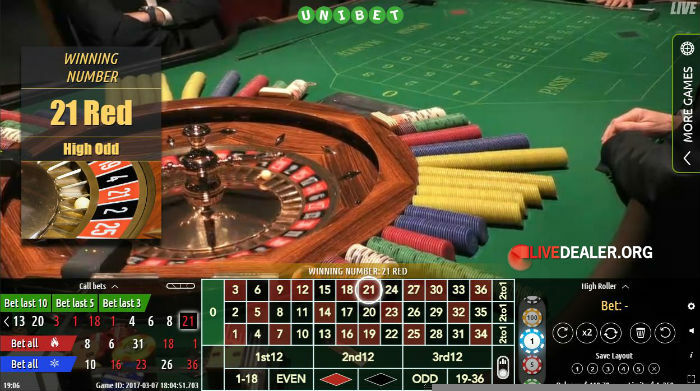 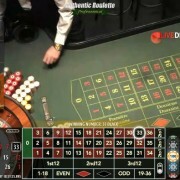 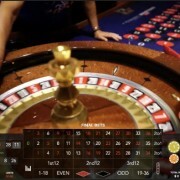 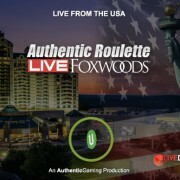 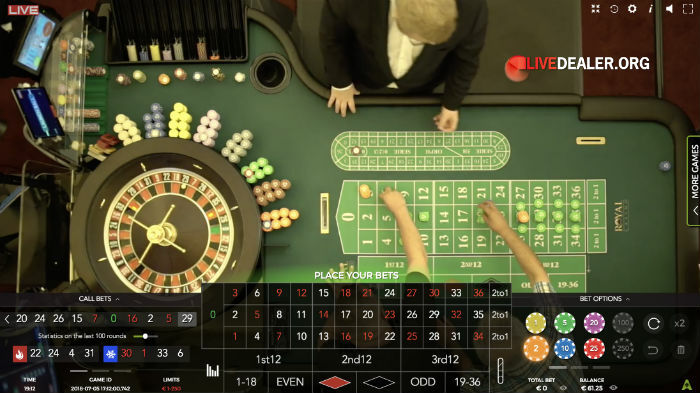 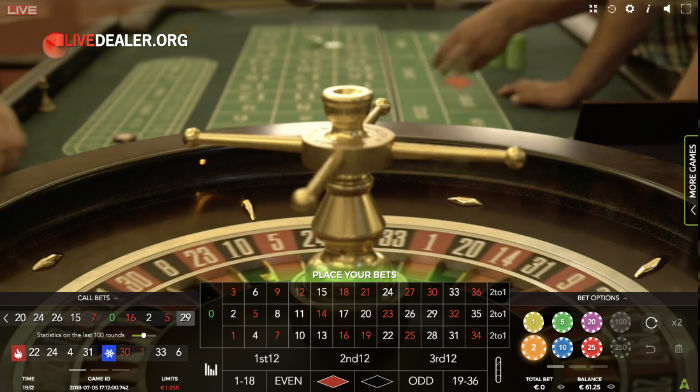 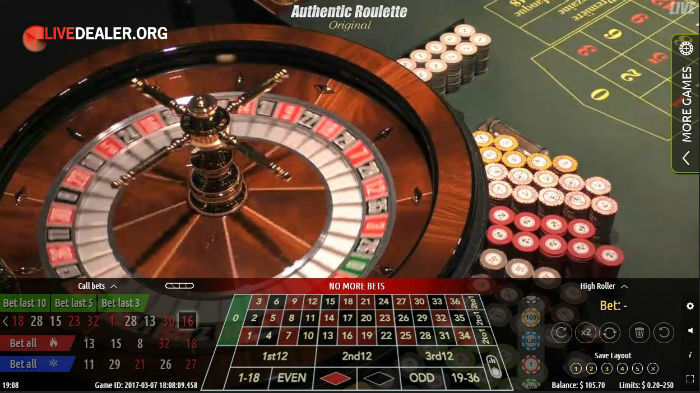 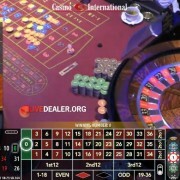 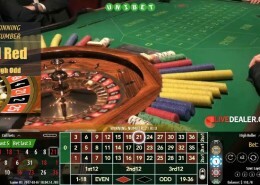 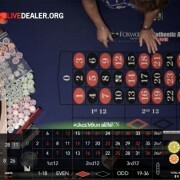 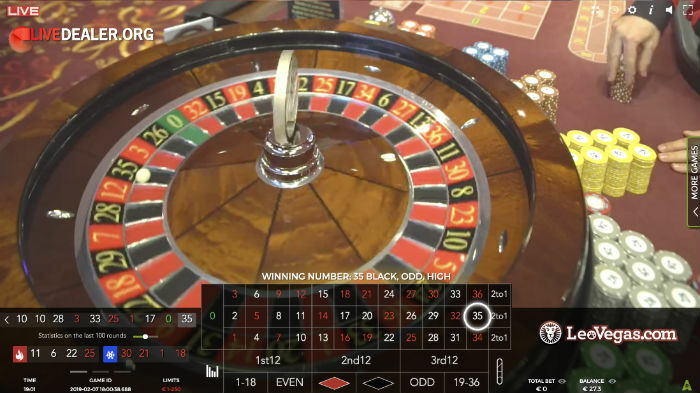 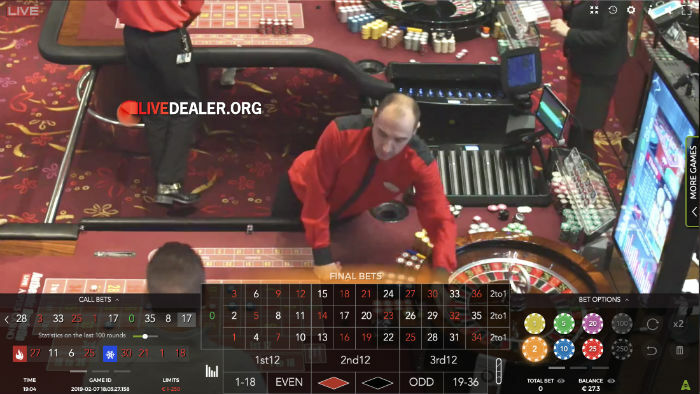 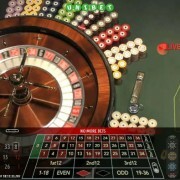 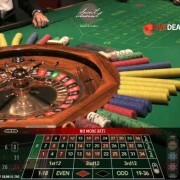 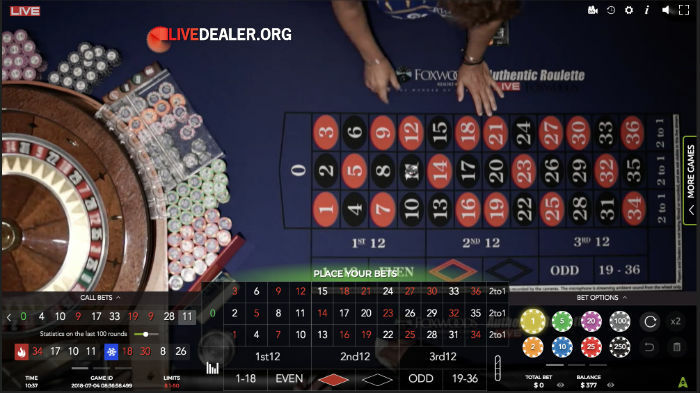 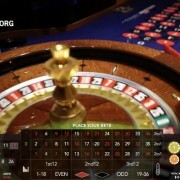 This is Authentic Gaming’s Foxwood Roulette live streamed from the floor of the Foxwoods Casino in the United States, and playable by players outside the US. 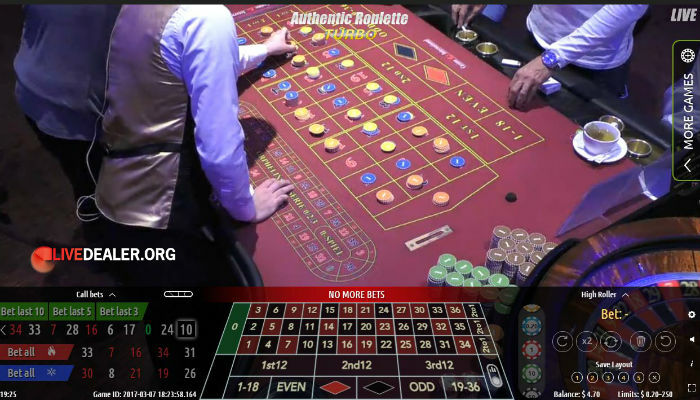 While the table is on American soil, it’s not an American Roulette format (double zero) table which is welcomed. 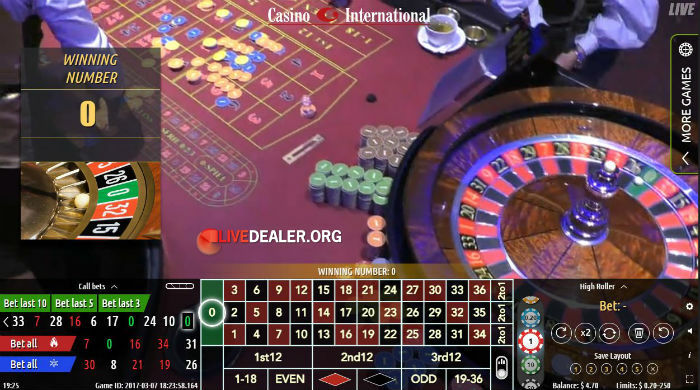 Superieur Roulette is live streamed from the floor of the Saint Vincent Resort and Casino in Italy. 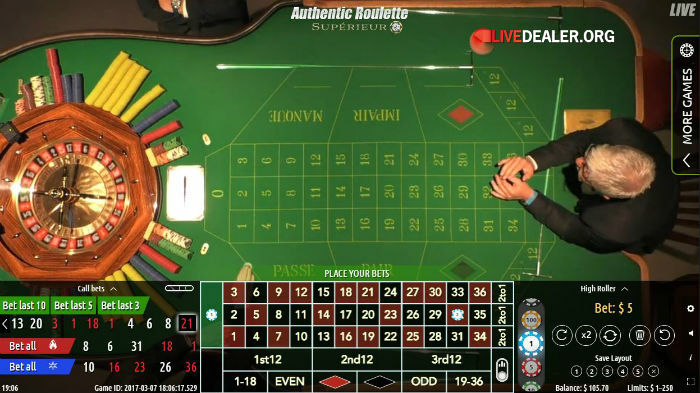 The table itself is an authentic French Roulette table, manned by 4 croupiers. 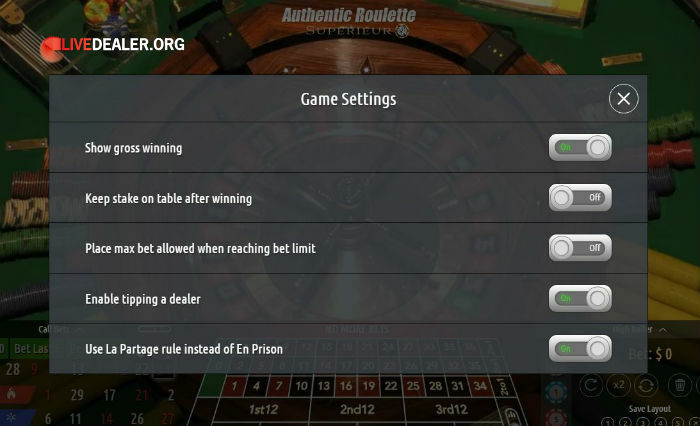 An interesting feature, is the ability (for online players) to choose to have either the La Partage, or the En Prison rule apply to their play. 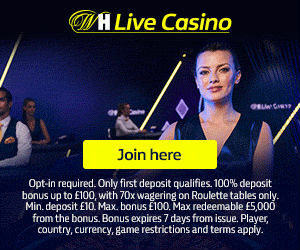 Otherwise, standard French/European roulette bets and payouts apply. 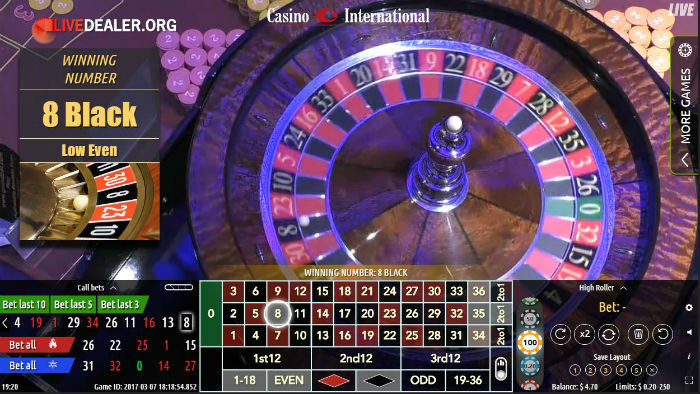 Promised by Authentic Gaming late 2017, delivered June 2018, this is a roulette table live streamed from the floor of the very ritzy Royal Casino in Denmark. 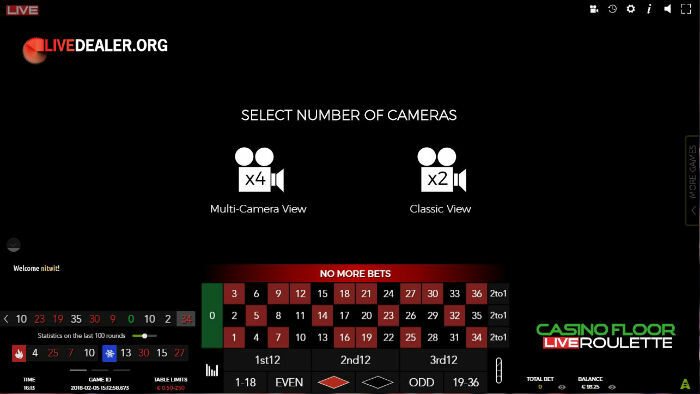 Four HD cameras capture the action and a relatively intuitive UI lets online players join those inside the casino taking part in the game. 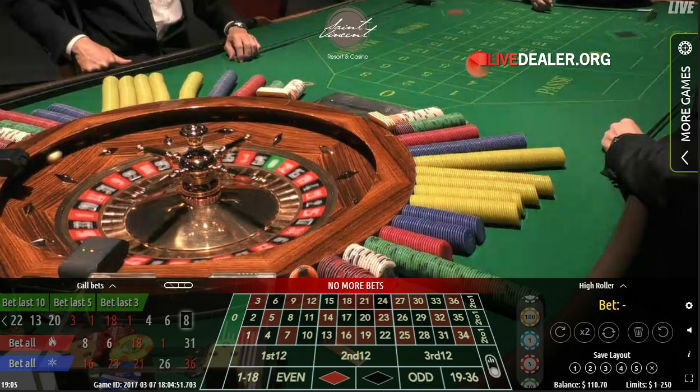 Aspers Casino Roulette as its name suggests comes to you (online) live from the floor of Aspers Casino in Stratford City London. 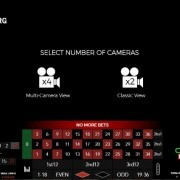 It’s powered by Authentic Gaming, with multi-camera action capture. 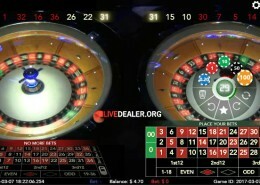 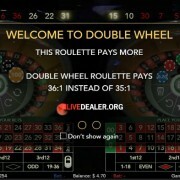 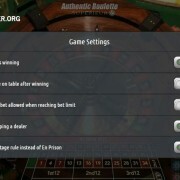 Blaze Roulette is Authentic Gaming’s first crack at a true, purpose built studio live dealer roulette table. 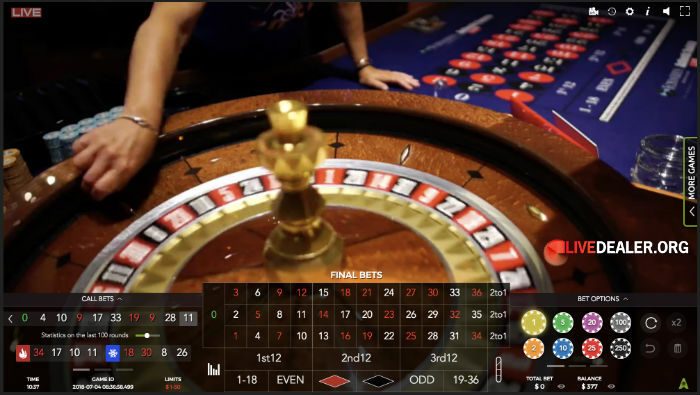 In-casino tables are their specialty, and they’ve been at it for a while now, leveraging this expertise to offer a pretty nice studio game. 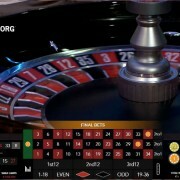 Standard EU roulette bets/payouts apply. 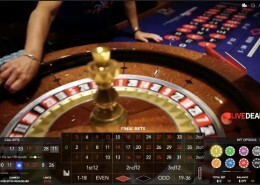 They call this table Casino Floor Roulette but perhaps a more appropriate name would be Casino Studio Roulette. 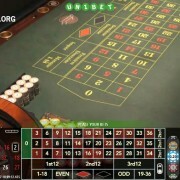 It’s not on the casino floor (patrons within the casino cannot play it). 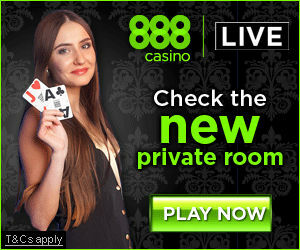 Rather it is contained in a purpose built studio alongside the casino floor. 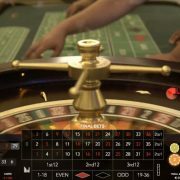 Oh, and the casino in question…Casino International, Batumi, Georgia. 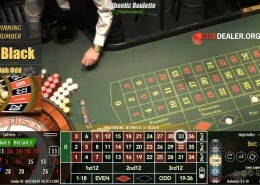 Original Roulette is live streamed from the floor of the Saint Vincent Resort and Casino in Italy. 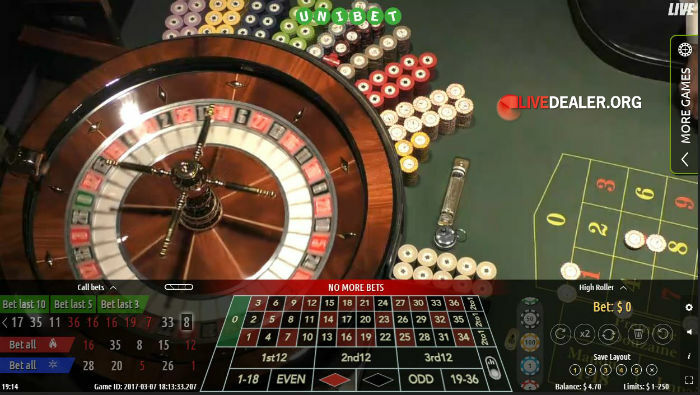 It’s a European Roulette table, with low minimum bets, and a simplified race track and bet features inexperienced players. 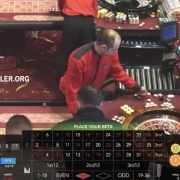 Table action is captured using 9 cameras. 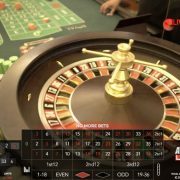 Professional Roulette is another European Roulette table live streamed from the floor of the Saint Vincent Resort and Casino in Italy. 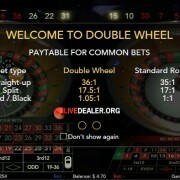 Join the (up to 12) players inside St Vincent’s Casino betting on these 2 auto spin and ball launch wheels. 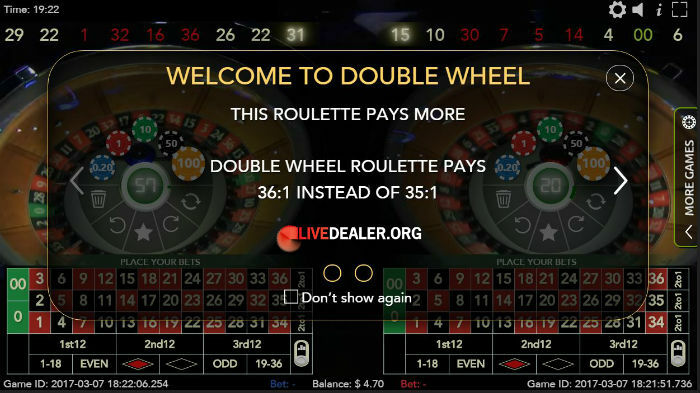 Open bets and spin times alternate, so you can pretty much always place a bet on either wheel. 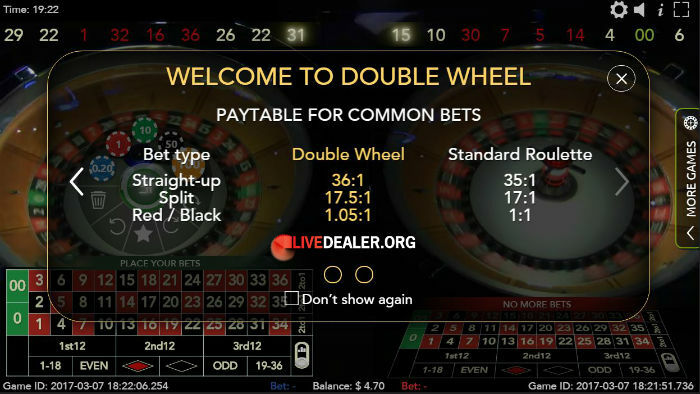 Payouts are slightly elevated (eg straight up win pays 36:1 instead of 35:1) BUT, they are double zero wheels. 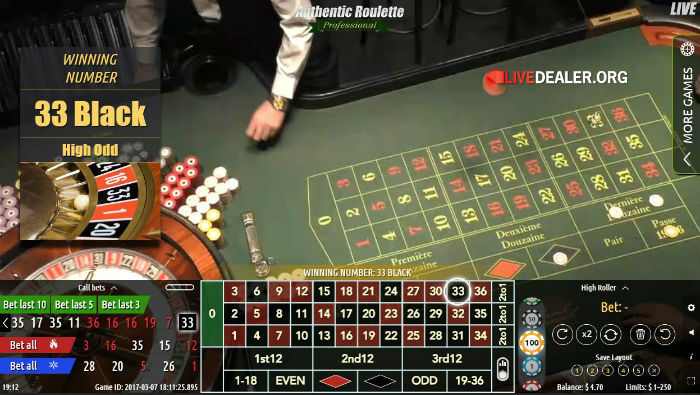 This is a European Roulette table live streamed from the floor of the Hilton Casino International in Batumi, Georgia (on the shore of the Black Sea). 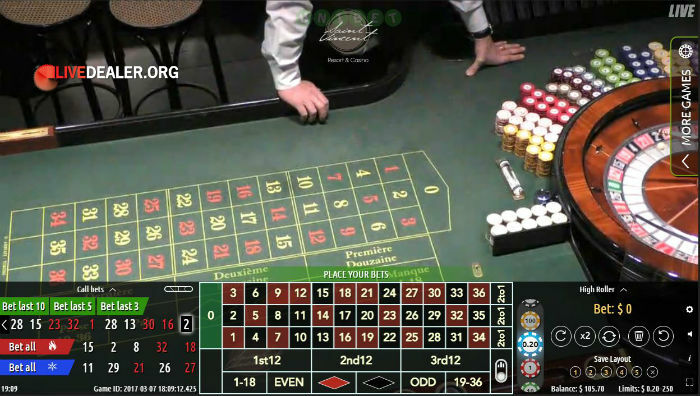 Table is open 16 hours a day per day. 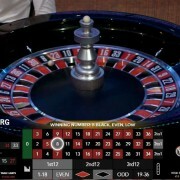 At the Turbo Roulette table, time between spins is reduced, and extended betting during the spin is offered, increasing possible session bet frequency.